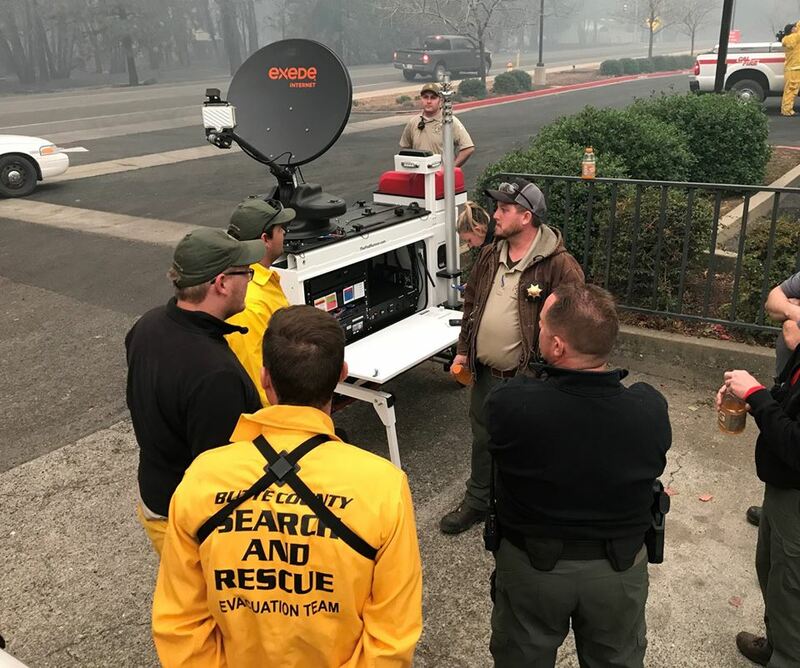 On the morning of November 8, 2018, when the Camp Fire was just getting started near the town of Paradise, California, the Butte County Sheriff Department's Star-Runner Compact Rapid Deployable (CRD)™ high-speed satellite communications unit deployed “Code 3” with the initial dispatch. 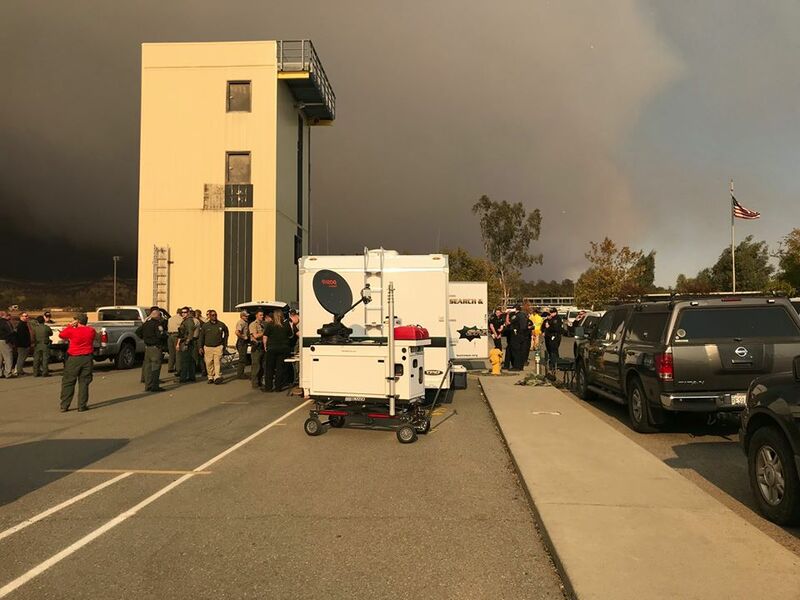 In a highly dynamic environment with no fixed Incident Command Post, it was initially set up at the Staging Area and was used to coordinate evacuations and firefighting operations. You can see the fire starting to reach Paradise in the background of the photo with evacuation and rescue efforts being coordinated by multiple agencies. At this point and for several weeks, wide area cellular service was lost due to congestion and then many miles of fiber and cell towers having burned. The Star-Runner™ then deployed to Paradise/Magalia, where it was the only source of Internet, text and cell phone service (via Wi-Fi calling) in the entire area. Wide area Verizon service was not restored to the area until Nov 21. During the critical first hours, the Star-Runner™ was the hub for Evacuation and Search & Rescue operations. With the large number of agencies present, radio communications was extremely difficult. The Star-Runner™ was the Incident Command Post (ICP) for a large group of Fire, Law Enforcement and Search & Rescue agency reps who were tasked as Tactical Dispatchers. At one point there were over 2200 emergency calls backed up. The Star-Runner™ allowed the 911 dispatchers to e-mail spreadsheets listing the calls to the Tactical Dispatchers, where they were broken up by geographic sector and managed by the Tactical Dispatchers over their many tactical radio networks (TacNets). It would have been impossible to manage this volume of traffic by voice only over radio command frequencies. The Star-Runner™ also allowed Incident Commanders to handle their large volume of critical communications with their cell phones, texts and e-mail (including on their tablets and laptops via Wi-Fi) instead of trying to communicate by voice only over the heavily impacted radio frequencies. The only place in the entire Paradise/Magalia area Incident Commanders could make phone calls and get texts and e-mail was at the Star-Runner™ until much later when the roads got cleared and outside agency satellite resources finally made it to the fire. During the deployment, the Star-Runner™ typically delivered Viasat Satellite Internet speeds of 20 Mbps down and 8 Mbps up. Nov 21–30: The Star-Runner™ was moved to the main Incident Command center at the Chico Fairgrounds to provide internet and a Wi-Fi network due to the poor existing service. It was demobilized on Nov 30, 22 days after initial dispatch. The only technical issue was a low oil shutdown in the on-board Honda generator, which was quickly remedied. Service was never lost due to the on-board battery back-up. Dec 21–27: The Star-Runner™ redeployed to Magalia due to a fiber break and loss of internet and cell service. 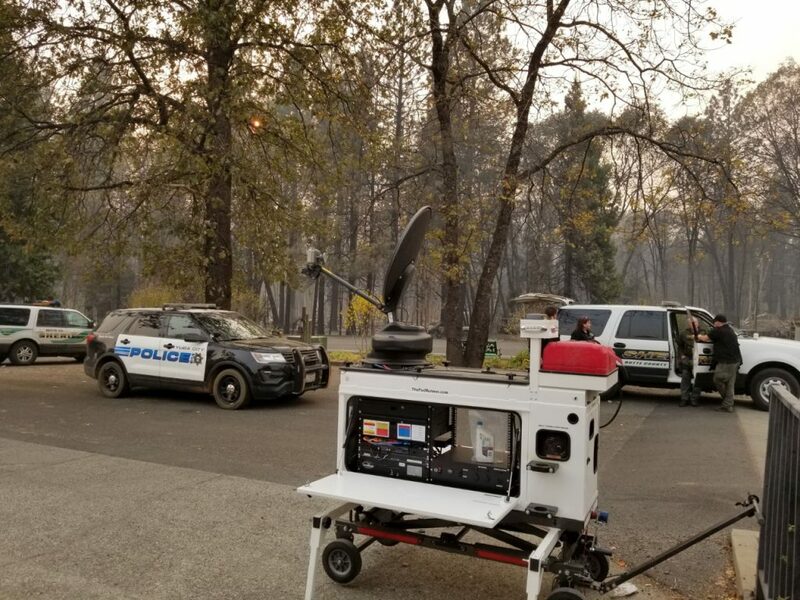 During the Camp Fire, several portable satellite units and Cell On Wheels (COWs) from AT&T, FirstNet by AT&T, Verizon and CalOES deployed to different areas. However, they didn’t start showing up until the next day when the fire had already burned through Paradise/Magalia and all the evacuations (and deaths) had occurred. Many of these units could not reach critical areas because of their large size and poor maneuverability. 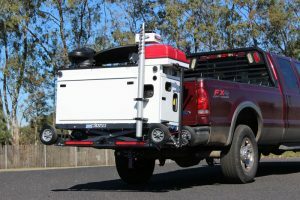 With an incident that covered over 230 square miles, these resources could only cover a small area and could not be re-positioned within minutes like the Star-Runner™. The small size, maneuverability and ability to mobilize/deploy within minutes, along with the ability to go 4-wheeling allowed the Star-Runner™ to be transported around and under all the downed trees and power lines/poles to quickly go where it was needed. 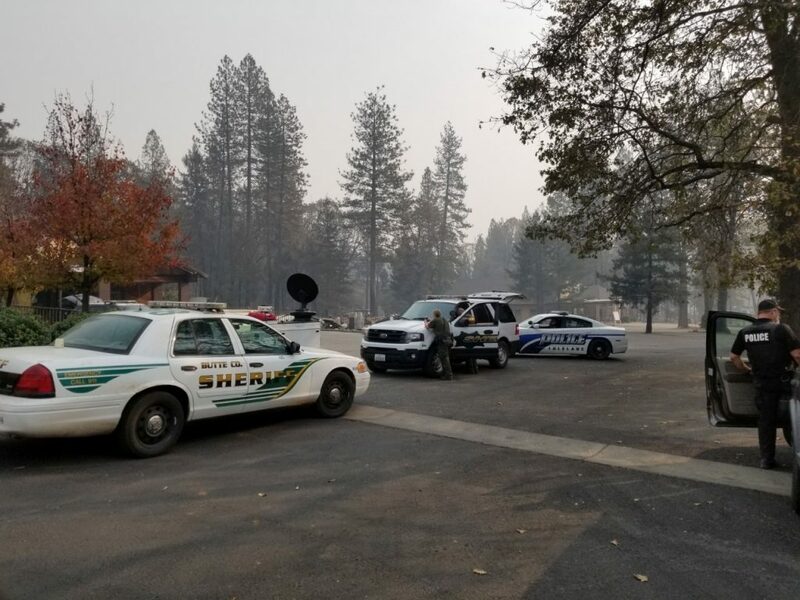 The most critical internet, text and cell phone communication needs were during the initial phase of the fire, and the only resource available was the Butte County Sheriff’s COAM (Customer Owned And Maintained) Star-Runner™. For more information on the Star-Runner CRD™, please email info@thepodrunner.com or call 530-332-8409.